The idea of the test is for evaluating trade show displays, but it is relevant to almost any type of presentation you might be working on. It works like this. In order for a trade show (or any) display to pass the duct tape test, it must be capable of getting your idea across even if you had your mouth covered with duct tape. If your display can’t get your ideas across without your explaining or elaborating, it has failed the test. We ship lots of packages by UPS, sometimes as many as 100 in a single day. We think that they do a good job, and we’re always happy to see a brown truck backed up to our loading dock. What we’re not happy about is a new phenomenon that that has cropped up on our weekly bill. If you do lots of shipping and find you don’t take time to look at the bill in detail, then our discovery might change your mind. UPS has always charged for address changes, and when they are able to get the package delivered when the address is wrong, it makes sense that there would be an additional fee. It is certainly better than having the shipment come back undelivered. What has changed in this regard is how and when they determine that an address correction charge is appropriate. We are now seeing lots of address correction charges (currently $12.50/package) for changes that just don’t seem necessary. Specifically, when UPS “adjusts” an address by doing something as simple as adding AVE or DR to the address, they are adding the correction charge to the bill. That could be as much as $50.00 on a four package shipment, since the charge is added to each parcel, even if they are all going to the same place. Our online ordering software lets the customer enter their own address, so if they leave off the street designation, then it might not make it to the shipping label. Now, when that information is left off the order, we always do a quick Google check and make the correction ourselves. Unfortunately, no one gives us $12.50 every time we do it. I used to make a pretty good living providing sound systems for spoken word events and recording them so that they could later be transcribed. I came across a new product today that just might put whomever is doing that recording these days out of a job. 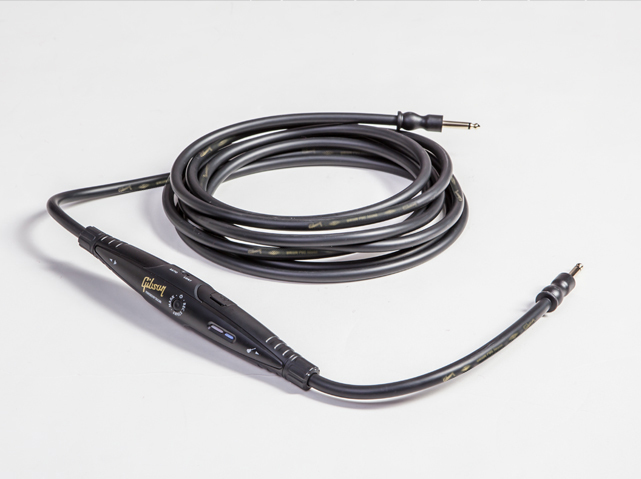 It is called The Gibson Memory Cable, and it is one of those “why didn’t I think of that” ideas. Right now it is intended for guitars and other electric instruments, but a version designed for microphones is probably right around the corner. The cable has a recording module built directly into it, and utilizing a micro SD card can record up to 13 hours of music (or whatever). 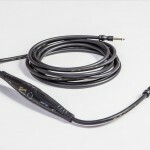 The musician can start it, stop it and play back what is recorded from controls integrated into the cable. A version designed for a microphone would let a presenter do their own recording without any outboard equipment or someone to operate it. All they would need is the cable. Gibson has not released a price yet, but they are have said that the cost will be competitive with standard premium cables. I, for one, was not thrilled when Microsoft promoted from within, naming Satya Nadella as Steve Ballmer’s replacement in the CEO chair. If ever a company needed new eyes, it is Microsoft. Nadella has been at Microsoft for the last 22 years, a time that has seen the continuing slow death of innovation at the company. Mine, and lots of others, worst fears were realized, when the software giant announced that they would stop supporting the XP operating system in April of this year, an apparent “gun to the head” attempt to force loyal customers to upgrade their OS to Windows 8, or at least Windows 7. Many, myself included, believe that Windows XP was (is?) the best operating system Microsoft has ever released, and the subsequent releases of Windows 7 and Window 8 prove this out. Windows 7 remains buggy, even after several years on the market, and Windows 8 was clearly designed for a mobile device, not the desktop. We still run some work stations with Windows XP in our office and are now scrambling for a solution that will allow us to continue to use this OS without new security risks when Microsoft pulls the plug next month. If you have a solution for keeping your XP system up to date and secure when Microsoft kicks you to the curb, please share it with our readers. I recently read an interview in on of my favorite trade journals with someone who had started a very successful manufacturing business. Most of the interview had good insights about starting and maintaining a business, but I was shocked at the founders answer to this question. If you are not willing to look back to see who might be nipping at your heels, then don’t be surprised when you look forward and see someone who you always thought of as your trailing competition is now eating your lunch. It’s fine to see yourself as a leader, but that isn’t worth much if no one is following.